If you’re looking for the list of top Rank Trackers in the market, you can jump right ahead to this section of the post. I highly recommend BunnyRank for beginner and advanced SEOs. They also have a 50% OFF LIFETIME Deal running currently with coupon code HALFOFF or you can sign up from this link. I am associated with them and do benefit. But, still highly recommend for the features and the LIFETIME deal that’s running. What is a Rank Tracker and why is it important to get accurate rankings regularly? How Do They work (technical behindte scenes stuff)? A Search Engine Rank Tracker, is an SEO tool (web based or a desktop) that will allow you to check where your website or any of its internal pages rank for a specific Google keyword query. When you sign up for these services, you have to create projects which have keywords and URL or domain pairs. Some tools allow you to set the frequency of ranking data. Once you feed in all this data, you don’t need to do anything. The Rank Tracker will automatically check the rankings in the Search Engine you specify (this could be Google, Yahoo, Bing etc). Many Rank Trackers also allow you to check your rankings for the keywords-URL pair based on a specific location. That means, you can actually see how your site is ranking for users who are searching with your keyword in any location you want to check. This is very handy while doing Local SEO for clients in different regions and allows you to prepare detailed ranking reports which are geo-located. You don’t need to keep using proxies from each region to check the rankings. Do you see the power of this? Rank Trackers are an essential part in the SEO industry as they basically form the foundation of regular reports that clients seek and they allow you to get a peek into how your site is doing in the SERPs (Search Engine Ranking Positions). You can think of Google as the world’s biggest marketplace and your rankings in this marketplace will determine how well your site is doing in terms of bringing in organic traffic. 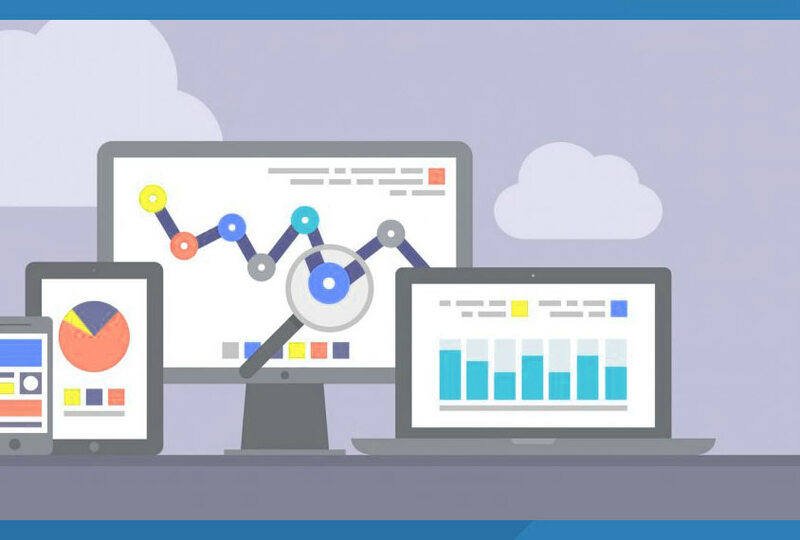 There are many web services that give you rank tracking ability bundled with a slew of other SEO tools, and there are some services which only choose to focus on rank tracking functions. Each come at their own price, and what you choose depends on what exactly you are looking to achieve. I would personally suggest you sign up for a web based rank tracker that does that job exclusively. The rank tracking tools can be web based as well as desktop versions. The web based tools function hands free and you don’t need to run software on your PC and keep your PC running when you want to do the checking. Some people find desktop tools better, and they may be cheaper but they come with complexities involved. You may also need to purchase proxies and use them inside the desktop rank checkers – as if you let the tool query Google or any engine with your IP – it could cause Google to spit out captchas and even ban you IP for excessive bot queries (which are against the terms of service of Google). The Rank trackers work by running search query bots on Google behind proxies and IPs and pretend to be real users querying the search engines, and even mimic clicking around as though a real user were jumping from page to page. Google does not allow this kind of activity – which is why the softwares that are written need to be solid as they are fighting with the best bot blockers. Getting the data out of Google through a bot – only works if you can make sure that Google does not recognize the activity as coming from a bot – in which case it will throw out a captcha solver and the bot wont gets its data. The IP / proxy that made the query will then get banned for a while and will have to be thrown into a recycle bin! If you have a desktop rank checker, then you absolutely need proxies / IPs or your IP will get blocked from doing searches by Google. If you want to get ranking data for specific regions – then you need IPs that belong to that region and you need to query the appropriate geolocated Google server / site. If you want to see how your rankings are doing on mobile devices – then you need to spoof the browser header as though it were coming from a mobile device – and Google then serves you its mobile first index. Rank checking is basically not allowed by Google. You cannot run search bots at Google, specially in rapid fire – checking hundreds if not thousands of rankings for keywords. It is against the Google terms of service – because it uses up Google’s server resources. If they allowed people to run bots on their server – they would be inundated with spam queries that would bring down the Google servers just lie a DOS attack on a webserver. This is why they have solid bot block protection in place that will sniff you out – and throw a captcha at you if you are a bot. A good accurate web rank tracker will allow you to get a 1000 foot view on your SEO efforts to rank in the Search Engines. If youre running a business that depends a lot on Search Engine traffic, you need to be on your toes with your rankings. Many businesses have separate in-house teams that are dedicated to SEO. You can setup alerts so you know when you drop ranks just like stock market alerts and then you can act. it may be a google dance, but at-least you know. it will allow you to make mathematical calculations based on projections. you know how much traffic you are getting for each keyword and what your CRO is and then how much each visitor is worth to you, therefore how much each keyword. There are Youtube checkers, Amazon checkers that query only specific marketplaces. (note in essence Google is itself a marketplace of website listings that are competing for high search visibility). However, for this post i will consider only google marketplace. Web Based – The Web Rank trackers are all the rage. They allow you to perform a large number of functions without having to worry about installing or running complex local software on your machines and making sure your proxies are still alive and your machine is running. Desktop – A desktop rank checker is less desired of the two but it is a cheaper solution. However, its a bit messy to handle and you have to have your PC running at the time for the scheduled rank checking. You also will need your own proxy IPs addresses. Most desktop tools also lack the fancy graphs that you get with webtools. Browser Plugins – there are some rank checkers that act as browser plugins. This allows you to check ranking data live for a small set of keywords as the Google spam check algorithm kicks in after a few tries. There’s a whole bunch of factors you really need to look at very closely while evaluating which rank tracking tools is best for you. I generally look at the factors below. Some of these may not be easy to check, but its worth spending a bit of your time to look at them before you invest your time and money and setup your web tracking projects inside their dashboards. Its not a good thing to have spent your time and then realize a few weeks later that the system is flawed and thus all your data is not only inaccurate but meaningless and has misguided your SEO efforts. Frequency of Rank Updates – some update daily, some twice a day, some allow you to set the interval. Local City Specific Rank Checking Available? Does it support large volume of keywords? Does it allow live lookups of rankings as opposed to scheduled lookups? Do they do rank tracking only or bundle in with other services / also? This is a Firefox only browser plugin that lets you check rankings on-demand. Its totally free to use and has the ability to export the data as .CSV file. The maximum amount of keywords you can run at any given time is limited to 100. This rank checker is part of the popular Moz Suite of SEO tools. If you only want to check rankings – then this is a fairly expensive option and I would not recommend it. Prices start at $99 and go all the way up to $599 on a monthly subscription basis. Popularly called AWR, they have a desktop version as well as a web cloud based version that was launched afterwards. They have no limit on the number of keywords you can check on a monthly basis – but you have to pay the per keyword lookup rate. The neat feature I liked with this is its ability to make neat looking client PDF ranking reports. The only downside of the desktop version is that you have to keep it running on your PC which means you need to leave your machine running all the time (or atleast when you set the schedule for the daily rank checking). However, if you have a remote VPS you can simply leave it running there. The prices for the desktop version starts at $199 and goes all the way up to $2999. You pay for the frequency of your keyword looks ups – which means you get a certain quota of ranking lookups for the price. You also need to get a separate set of proxies if you’re gointo be installing the desktop version. The cloud version sells in different plans from $49 to $499 per month and you can do pretty much everything the desktop version does – without the hassle of managing the desktop tool. SEMrush is a fantastic tool when it comes to spying on your competitors rankings and other activities. I use this tool for uncover keywords that my competition is already ranking for and I would not recommend this tool as a on-demand rank checking tool or a scheduled rank tracker. They do have a 14 day trial, but again for purely rank tracking – this is an overkill. The folks behind the SEO Power Suite have a set of different SEO tools that come bundled in the SEO Power Suite or that can be purchased individually. However, you need to renew the licenses on a regular basis (quarterly, semi-annually or annually) so that your version of the tool you use is compatible with the latest Google updates. Like AWR is offers ranking reports. However, the one advantage is has over AWR is that it does not require you to purchase and subscribe to a separate set of proxies. This is a life saver. I liked the way it works, and I liked that you can run as many copies as you wish on unlimited PCs – as long as they are not running at the same time. This allowed me to install it for my team and on my remote VPS without any hassle. Prices start at around $125 for the rank tracker module. Raven tools is a swiss army knife set of SEO tools that is very popular. Its pretty expensive if you just need rank tracking done, but if you need all the SEO tools it offers then this is a good choice. They did say that they use Google Webmaster Tools and Bing webmaster Tools APIs to grab ranking data (which is probably why its so expensive). Plans start at around $99 and go all the way up to $249 per month. This is my recommendation if you’re looking for a tool that offers SEO rank tracking only at a very affordable price. They have 8 different plans that start as low as $2.95 and you can even sign up for a free plan to test drive the tool. They track Google, Yahoo and Bing and the data is highly accurate and reliable. They pride themselves on being a simple rank tracker that takes not more than a couple of minutes to learn – which is very true! The tool boasts of all the standard and advanced features one would expect from a web rank tracker – such as client pdf reports, rank alert notifications, advanced graphs, white label reports, unlimited domains etc. If you’re just getting into SEO and need a quick and affordable rank tracker – this is the tool of choice! This one has been doing the rounds on the SEO forums for several years. The only thing I did not like about it was that they have not updated their user interface for several years now. This tool is a dedicated web rank tracker and was one of the earlier popular tools. Prices range from a free version to as much as $599 per month. Like SEOmoz and SEMrush this is another suite of SEO tools. Its not really just a rank tracker in that sense – which is why its an expensive option if you’re just looking to track rankings. This free extension like SEO Books FireFox plugin, works on Chrome and lets you check live data as well as scheduled ranking data. Another SEO tool set with the ability to check ranking data on-demand and via campaigns your setup. It supports most features like exporting data, preparing reports for clients etc. I would not recommend it if you just need to check ranking data as that would be expensive to do on a per keyword basis. This a dedicated Rank tracking tool that looks pretty interesting. The prices start on the higher side of $69 per month with a free trial available if you want to test drive it at first. It supports both on-demand and campaign checking. This one has been around for a while. It allows you to check a ton of data other than ust ranking data. I found the data it uncovers similar to Market Samurai. Again, if you’re not looking for data beyond rank checking – then this is an overkill. Prices start at $28 and go up to $499 per month. This is probably one of the oldest SEO tool set for desktops. You pay a one time fee and you can do a ton of work with it. Some of the data and features are deprecated, but it is still a nift tool to have. I highly recommend it if you’re doing SEO and cant afofrd some of the monthly tool sets. At one point of time I was using this tool on a daily basis for all my SEO projects. However, since I’ve leveled up my SEO after a ton of experience – this tools is now very basic for me. That does not mean that I don’t use it. I do rely on it when I need certain data – quickly. The Rank Tracking module was deprecated a while ago. This is an advanced tool for SEO experts only. I would not recommend it for beginners. It has advanced features and comes with a hefty price. If you just need rank tracking then you can skip ahead. Yet another SEO tool suite that offers a mix of different search marketing tools sets and analytics data. They call themselves a slick and intuitive rank tracker. It has the ability to check local rankings and offers all the features the go into a rank tracker. Prices start at $9 per month but the per keywrod rate seems to be a bit steep. This tool has been around for a while and seems to be popular in some of the underground SEO forums. They have ton of plans and the plans start for as low as $10 monthly. The dashboard looks decent but could do with a facelift. I recommend this one if you’re just doing rank tracking. This tool may have been created by ViperChill of blackhat SEO fame. Quite a flexible rank tracking tool that allows you to check rankings in real time as well. The number of keyword credits you get and can use is completely customizable. Prices start at $10 per month and the plans a very flexible which leads to custom pricing. This is a web SEO tool set and operates mostly for resellers of SEO services who want multiple features. I would not recommend it for only checking rankings. Prices start at $99 to $499 per month. A neat looking interface that allows you to get an insight into your SEO efforts based on your ranking data, backlinks, social optimization and compare it with your competitors. I recommend this tool if you need all the bells and whistles – but you will have to be an advanced SEO user to analyze the meaning of the metrics you see in your dashboard. This tool is a basic rank tracking tool that has become popular in some of the SEO forums like at Blackhatworld. You can track as little as 25 keywords or as many as 5000 and the prices range from $7 to $329 per month based on the plan you want. I like the simplified dashboard and its ease of use. This started out as a basic SEO tool set but has grown to now include some advanced features. Its expensive and prices start at $99 per month to as much as $999. They do have free trial – but again this is an overkill if you just need basic data. As the name suggests this is a dedicated rank tracking tool that offers both campaign level as well as on-demand rank tracking. Prices start at $49 to $99 per month and you can also optionally make a custom plan based on your monthly keyword demand. Pretty sleek with advanced tracking options. I highly recommend this if you’re an advanced SEO guru and looking to gain some intuitive insights. Pricing is steep on a per keyword basis but you do get access to some nifty information. One of the popular web based SEO rank trackers that offers a wide range of features. Pricing is aggressive and if you’re doing client SEO and need to churn out ranking reports every month – then this is a good tool to have. Prices start at $19 per month and they do offer their own set of APIs. 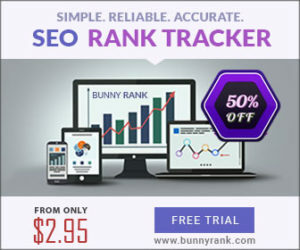 If you’re just starting out on SEO or are farily good at it (having done it for about a year) then I highly recommend BunnyRank. They currently have a 50% OFF LIFETIME deal running – which means if you sign up now you can lock in at a HALF OFF price on any of their plans for life…. this is an amazing deal!